A recent Ocado order number. The name you’d like printed on the apron. Your favourite way to eat Nutella out of the following: with pancakes, crumpets, toast, porridge or strawberries. The winners will receive an apron personalised with their name and their chosen Nutella combo (for example, ‘Ocado likes theirs with pancakes’). 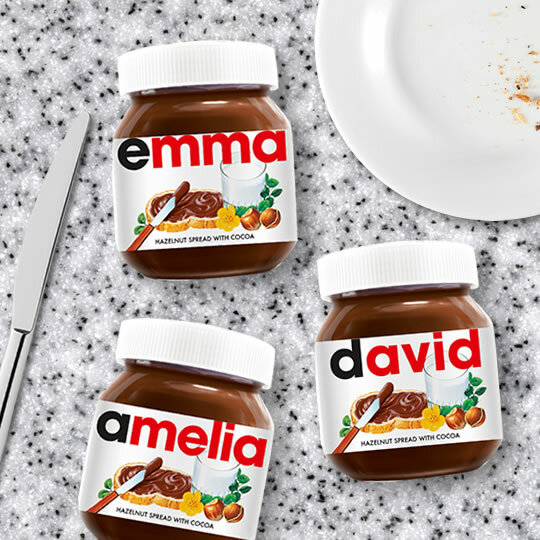 Prize Details: There are 50 prizes of personalised Nutella aprons. The closing date and time for entries is 23:59 on 29th November 2015. Entries placed after this date and time will not be included in the prize draw. The winners will be selected at random in the week commencing 30th November 2015. Denigrates or disparages the promoter, Ferrero and/or their respective brands, products and/or services. This entry was posted in Talking Ocado and tagged giveaway, Nutella, prize draw by Ocado. Bookmark the permalink. Our favourite way to eat it is as a family straight out of the jar. We are naming the jar after our puppy as he is the only one who can’t eat any of it. Our favourite way of eating Nutella is with everything but out of the ones mentioned it would definitely be pancakes. Nutella on toast! Simple and beautiful! Best way to eat is with a breadstick out of the jar or in a cheesecake. Loves it with raisins and mini-breadsticks! Yum. I love adding a spoonful of Nutella to my latte, to add sweet nutty flavour to my morning coffee!